Sennheiser’s new AMBEO Soundbar has immersive 5.1.4 sound and deep bass that has to be heard to be believed. 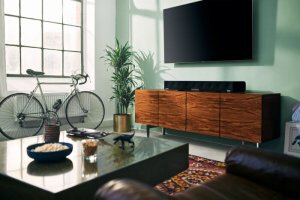 Created by the audio specialist to be one of the world’s best soundbars, the AMBEO Soundbar places the listener inside the sound experience with incredible realism, delivering 3D sound that blurs the line between playback and reality from a single all-in-one device. Sennheiser’s soundbar has been developed under the audio specialist’s AMBEO trademark. The AMEBO 3D technology program is dedicated to creating immersive audio solutions that deliver the ultimate in audio capture and reproduction to transform the way users experience content. Bringing this transformation to the living room, the AMBEO Soundbar is another milestone in this program. Beneath its lacquered and brushed aluminum surface, the AMBEO Soundbar is powered by 13 drivers and the latest virtualization technology which was jointly developed with Fraunhofer IIS. The AMBEO Soundbar is compatible with Dolby Atmos, MPEG-H and DTS:X. Thanks to Upmix Technology, it can also recreate stereo and 5.1 content in stunning 3D. The soundbar features five different presets (movie, music, sports, news and neutral) tailored to a range of scenarios and content types that precisely adjust not only the frequencies but also the 3D sound characteristics. The audio specialist has designed every interaction with the soundbar to be effortless and intuitive. This principle is epitomized by Sennheiser’s Smart Control App for iOS and Android, which allows users to adjust acoustic settings via smart devices, including setting presets, personalizing the sound with the equalizer and selecting from three different AMBEO modes (light, standard, and boost). Upcoming new features will be added to the soundbar via WiFi and app updates. Visit Sennheiser at CES 2019 at South Hall, Booth #20200. 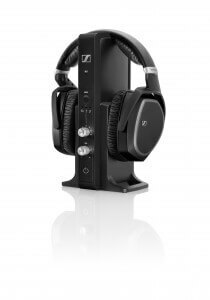 Sennheiser, one of the world’s leading manufacturers of headphones, microphones, and wireless transmission systems, introduced the GSP 600 gaming headset at CES 2018. It is multi-platform compatible for gaming with PC, Mac as well as consoles, featuring at 3.5mm jack input. Use with lower-powered mobile devices is improved thanks to reduced impedance acoustic system that makes it easier to game on the go. Building on the success of GAME ZERO, acclaimed as the ultimate closed gaming headset, the new GSP 600 improves on its predecessor with even better audio performance, as well as increased comfort and durability. No matter how long the gaming session and no matter how intense the action gets, the GSP 600 lets you keep cool and in control. It features a range of ergonomic enhancements that include an all-new ear pad design, an innovative adjustable headband to customize contact pressure, new materials and an advanced hinge system for a better fit. The new GSP 600 delivers a truly excellent sound performance that shatters expectations of what a gaming headset can do. 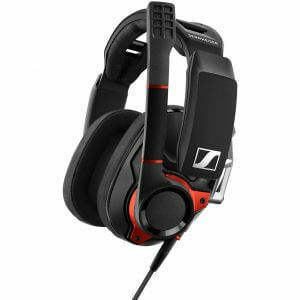 It features a new and improved speaker system designed and manufactured by Sennheiser, with improved aluminum voice coil speakers that ensure an exceptional audio experience with an increased sub-bass range that powerfully adds impact to games and movies. This warm deep bass never overpowers the well-controlled mid-range and finely detailed high frequencies, for incredible fidelity and realism that lets you hear every detail and react faster. The GPS 600 also introduces an advanced solid metal hinge system that gives even more freedom of movement and also increases the durability for which Sennheiser products are renowned. This innovative mechanism improves the fit by catering to a wider range of face shapes – pivoting smoothly to conform just as well to narrow or broad jawlines. 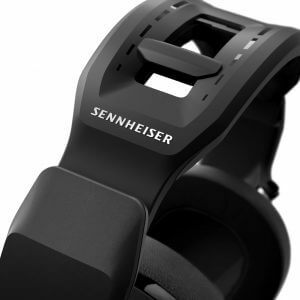 To adapt to different head sizes, Sennheiser has introduced an innovative Adjustable Contact Pressure feature to the headband that can be customized according to each user’s preference to ensure the headset feels perfectly snug and secure without ever feeling too tight. The GSP 600 is available from the end of January 2018 at the recommend retail price of €249.00 or $249.95. 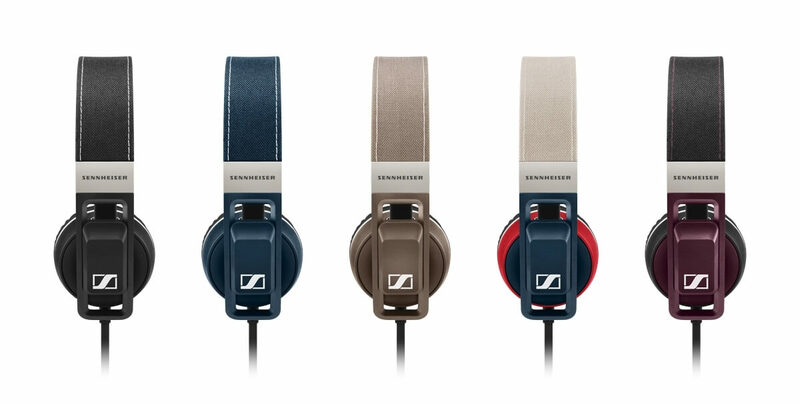 As all Sennheiser products, the GSP 600 is built to last and comes with a two-year worldwide warranty. 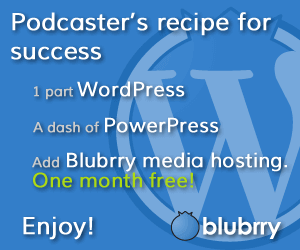 Another bargain for GNC readers in North America and Europe. 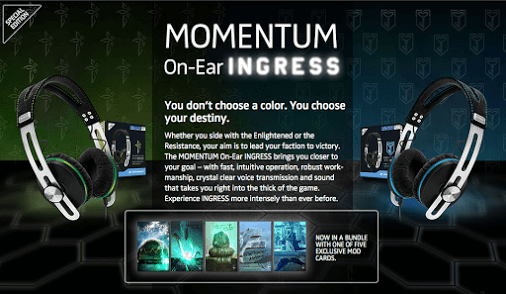 There’s 25% off the Ingress editions of Sennheiser’s Momentum On-Ear headphones with the checkout code IngressPromo2015. Using UK prices, the 1st gen Momentums were originally £170 and are currently on sale at £130. A further 25% brings them down to only £97.49, which is a veritable bargain for headphones of this standard. The discount will be available from 15 May to 31 May 2015 and the promotion is running in Germany, UK, France, Belgium, Netherlands, Sweden, Finland, Canada and the United States. Prices will vary. At Gadget Show Live, I had the chance to chat with Michael from Sennheiser about their current headphone range including the Urbanites and the latest iteration in their classic Momentum series. 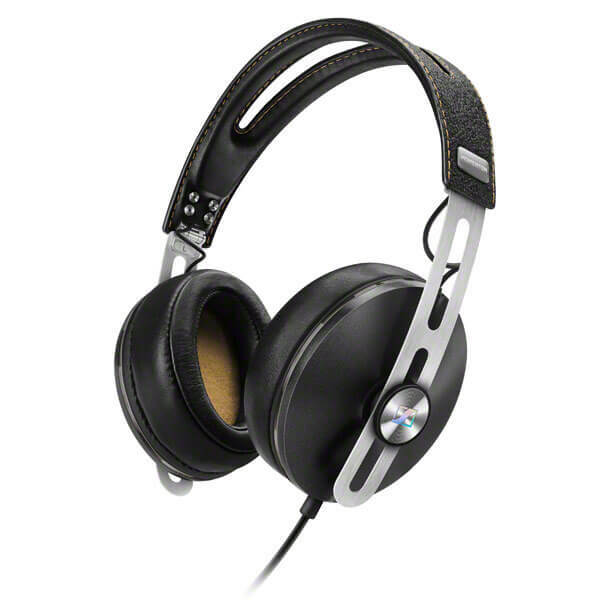 The second generation Momentum M2 maintains the original’s high fidelity while improving the headphones’ comfort. The Momentum Wireless is ideal for the traveller with Sennheiser’s active noise-cancellation technology, NoiseGard, and the AptX codec for high definition wireless transmission. Having previously reviewed the Momentum On-Ears and being extremely impressed with the audio, I imagine the over-ear version is even better. 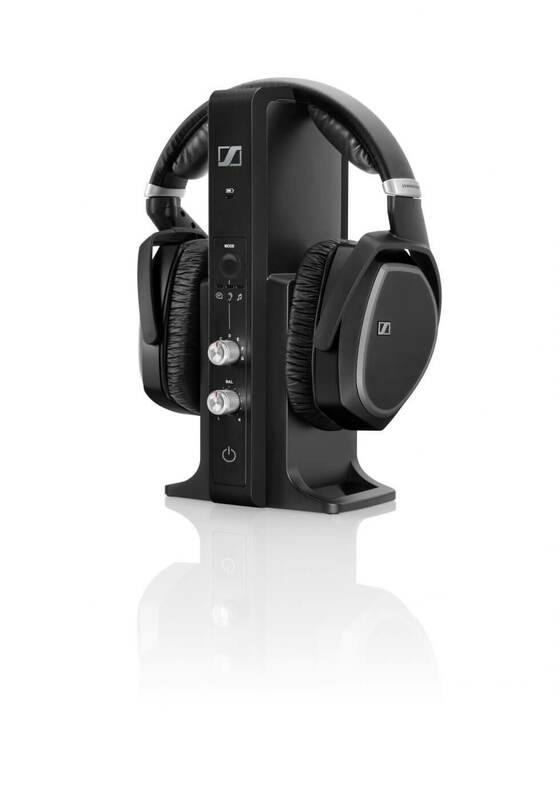 Sennheiser has had three of their products win the Red Dot Award for product design. The Red Dot award saw almost 5,000 entries, from 56 countries, in 2015. Submitted products in 31 different categories are evaluated on their degree of innovation, ergonomics, product periphery, functionality, durability, self-explanatory quality, formal quality, symbolic and emotional content and ecological compatibility. Sennheiser’s URBANITE series impressed the Red Dot jury with their robust and fresh design. The on-ear model URBANITE and the over-ear model URBANITE XL deliver a rich bass sound. They have stainless-steel hinges, a robust folding and sliding mechanism, and super soft ear pads. Together, this ensures great durability and maximum comfort. The color-coordinated, fabric-covered headbands round off their urban look. Sennheiser earned another Red Dot award for the new models of its SPORTS series (which was launched at CES in January). All four SPORTS models, the MX 686 SPORTS, CX 686 SPORTS, PMX 686 SPORTS, and OCX 686 SPORTS feature reinforced, tangle-free oval cables, with cable sleeves that reduce structure-borne noise. The Red Dot jury especially liked the SPORTS series rugged ergonomic design that conforms to the body while securing maximum freedom of movement. They deliver excellent sound and provide individual comfort for indoor and outdoor activities. They are made with high-tech materials that ensure comfort, are water resistant, durable, and provide maximum hygiene. Sennheiser’s new digital wireless models, the RS 175, RS 185, and RS 195 also received a Red Dot award for functional aesthetics and clear design. Their ergonomic shape and around-ear design ensures excellent wearing comfort (even for long periods of use). The RS 195 can help address specific personal hearing needs. Dedicated pre-sets and modes can increase speech intelligibility and tailor the sound to the user’s preferences to enhance the listening experience. 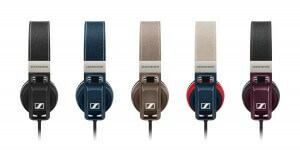 Sennheiser new SPORTS headphones are here! There are several different models. Each delivers the perfect fusion of sound, performance, and ergonomic design for people who have a passion for sport. The new SPORTS headphones feature high-tech materials that have been carefully selected to ensure comfort, water resistance, durability, and hygiene. 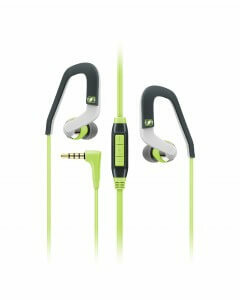 They deliver energizing sound with excellent fit and significantly reduced noise from wind or from contact with clothes. All models include an integrated smartphone remote and microphone that allows easy controlling of volume, track and calls when exercising. The SPORTS range comprised of both open and closed acoustic designs to suit different activities. The MX 686 SPORTS and the PMX 686 SPORTS feature open acoustics, allowing for a better awareness of external sounds that is ideal for outdoor pursuits such as running. Sennheiser has developed new adapters for the MX 686 SPORTS and a vertical in-ear design for the PMX 686 SPORTS that delivers a punchy bass while remaining acoustically open. The MX 686 SPORTS features a classic earphone design and uses Sennheiser’s proven slide-to-fit ear-adaptor for a customized secure fit, while the PMX 686 SPORTS has a headband that offers additional security. 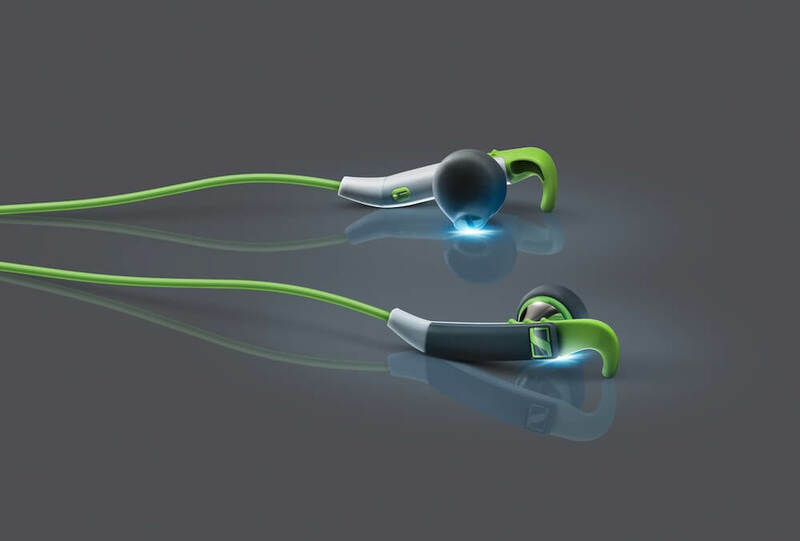 Meanwhile, the CX 868 SPORTS’ and OCX 686 SPORTS’ closed ear-canal designs are perfect for indoor exercise as they shield out noise distractions in environments such as gyms. The CX 686 SPORTS has a slide-to-fit design, whereas the OCX 686 SPORTS features a flexible earhook securing mechanism that is both comfortable and reduces cable noise. The new Sennheiser SPORTS headphones will be available from January 2015.